Okaz Motors is pleased to be currently offering this 2008 Toyota Matrix XR with 118,333mi. Drive home in your new pre-owned vehicle with the knowledge you're fully backed by the CARFAX Buyback Guarantee. The Toyota Matrix XR is economically and environmentally smart. Toyota clearly delivers on its promise to provide a fuel-efficient vehicle that has the great qualities you need in a vehicle. 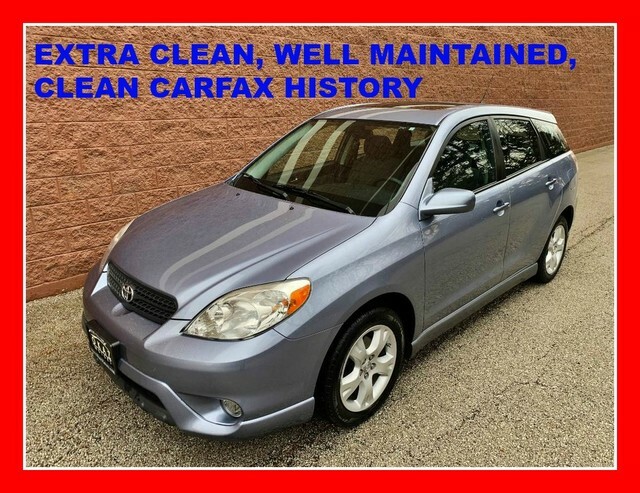 With all records included, feel comfortable knowing that the history of this Toyota Matrix XR is provided in order for you to make a knowledgeable decision. This gently driven vehicle has been well-kept and still has the showroom shine. The Toyota Matrix XR is in a class on its own. So much so, that Toyota didn't miss a beat when they loaded this vehicle with an abundance of a-la-carte options. More information about the 2008 Toyota Matrix: The 2008 Toyota Matrix, a tall hatchback based on the Corolla sedan, offers impressive cargo versatility, sporty handling and maneuverability, and the fuel efficiency of a small car. Its affordable price, good resale value, and the Corolla's long-established reputation for reliability and durability make it all the more attractive. Strengths of this model include Affordable cost of entry, roomy interior, and maneuverability.